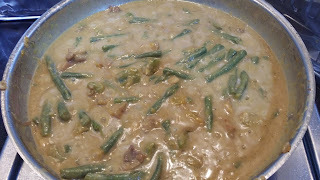 One of my favorite vegetable dishes is Ginisang Sitaw at Kalabasa (Sauteed String Beans and Squash). 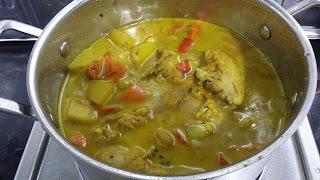 Last Saturday, I tried a different approach and used a ready-mix called Ginataang Gulay. The ingredients are still the same (pork, onions, garlic, string beans, squash, soy sauce, salt and pepper) but I added the Ginataang Gulay mix which has coconut cream powder. 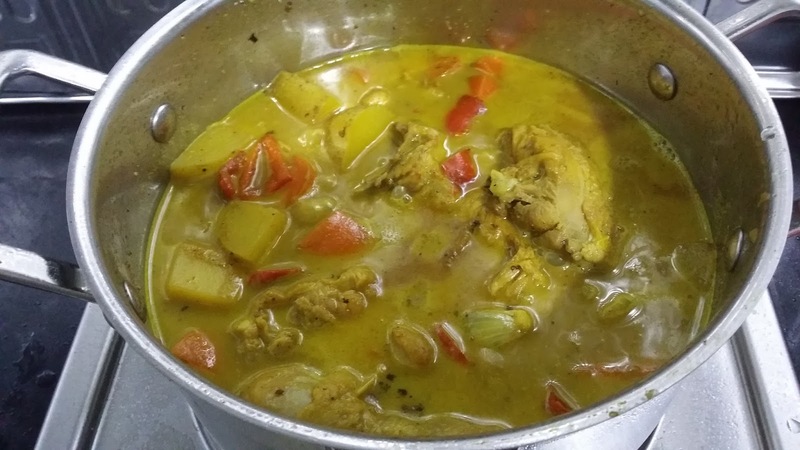 This added a whole new dimension to the dish because of the coconut milk flavor and creamy texture. Needless to say, it's another sumptuous dinner for me and my loved one, all for the economical amount of Php 50!